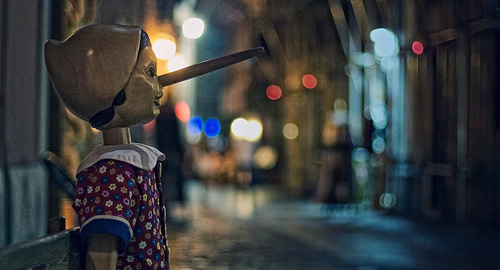 This is a startling fact: Children tell lies at some point or another. When children don’t tell the truth it can be worrying (and sometimes hurtful) for parents, especially the first time it happens. While it is easy to get upset over the lying, we always overlook what it really means to the child when he lies. It is also important to understand the reasons behind the lie before you respond. A child who tells a fib is not bad after all, according to this latest research. Okay, this research might tell you lying is good for your child’s brain function. Other than that, I don’t see other benefits that come with a child who doesn’t tell the truth. Despite what the research shows, parents still need to do something to promote honesty among children. Age plays an important role in understanding why your child tells lies. And this is the first thing you must talk about. Children between 4-6 will generally lie and studies have shown that children of this age group lie more. But they don’t understand what lying is and don’t understand why lying is wrong. They treat lying as a new toy to play with or as a tool that can sometimes get them out of a trouble. For older children, they generally have motives for lying. They know why they lie. Avoid punishment or consequences – For example, your child breaks a vase. He covers up to avoid being punished. Fear of losing their parents’ love and affection. Too young to understand – As we mentioned earlier, they are not old enough to understand the difference between truth and lie – and what is right and wrong. Out of curiosity – They explore and experiment with their parents’ responses and reactions to their lies. Make things up – To exaggerate a story to make it more interesting or to fit in with the group. Impress others – For example, my daddy buys new toys for me every week. Gain attention – They just do anything to get the attention they want, including lying. Enhance self-esteem and social status – Having low self-esteem and wanting to make themselves sound better. They are clueless – Sometimes that is how it really seems. They believe that what they are saying is true. Protecting privacy – Teenagers, especially, have a need to keep some privacy in some parts of their lives and they rather choose not share them with parents. They lie to protect the privacy if their parents ask too many questions. Sign of rebellion – For older children, chronic or habitual lying is often seemed as voice against restrictions. It is a way for them to challenge a parent’s authority and ask for freedom in doing what they want to do. Empathy – Some children lie to prevent parents from having more stress or want to please parents. For example, parents who are going through a divorce or are having financial difficulties. When dealing with children who tell lies, take appropriate action based on their age. Talk calmly. Make an effort not to get into a conflict about telling the truth. Arguments make things worse. Teach children the importance of telling the truth. You can do this by telling stories that highlight honesty. Emphasize that it is safe for everyone to tell the truth in your family. Promise to your child you will not get angry but further lying will only hurt and disappoint you. Talk to your child how you feel about his dishonesty, how it affects your relationship with him, and what it looks like if people around him stop trusting him. Don’t trap your child. For example, asking your child a question to which you know the answer, you are actually setting the stage for a lie. If you know the truth, tell it (don’t ask) to your child what has happened. Don’t pretend you don’t know the answer. Teach the difference between truth and fantasy to younger children. If you think your child is afraid of punishment, talk about other ways that how you can deal with mistakes so that he has no fear being honest. Try not to call your child that he is ‘a liar’ because labels can lead to more lying and has negative impact on his self-esteem. Notice when children tell the truth or owns up to doing something wrong. Let them know you are pleased and praise them for being honest. Give older children and teenagers some personal privacy. Respect their privacy by not asking too much but ask what you need to know about enough to protect them. Set a good example to children. Tell the truth and keep your promises to children. Set clear rules about what is acceptable behavior in your family. Explain why telling the truth is important to you. As with other parenting challenges, dealing with lying children requires patience and love. Try one or more methods here that you think best suit your situation. And work from there. Whatever you do, it is important to remember this: don’t be harsh and quick to put the blame or punish your child. But hear him out first and see what he has to say. As you can see, children tell lies for many reasons. It is important that you understand why your child tells a fib so that you can work at supporting your child and encouraging him to be open with you and have trust in you. Don’t be despair if you don’t see instant results. In fact, most lies can be stopped. Even a habitual liar can be saved through love, understanding, and proper handling.